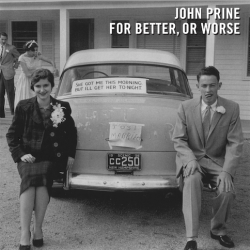 John Prine will release For Better, Or Worse, an album of classic songs recorded with female vocalists, on Sept. 30. The project will be released on his own label, Oh Boy Records, distributed by Thirty Tigers. The songs were originally written or popularized by artists like Hank Williams, George Jones, Buck Owens and Ernest Tubb. Prine recorded all but one of the songs as duets with female artists from country and roots music, including Iris DeMent, Alison Krauss, Miranda Lambert, Kathy Mattea, Kacey Musgraves, Amanda Shires, Susan Tedeschi, Holly Williams and Lee Ann Womack. To coincide with the release, Prine will perform at the Ryman Auditorium in Nashville on Sept. 30 and Oct. 1. 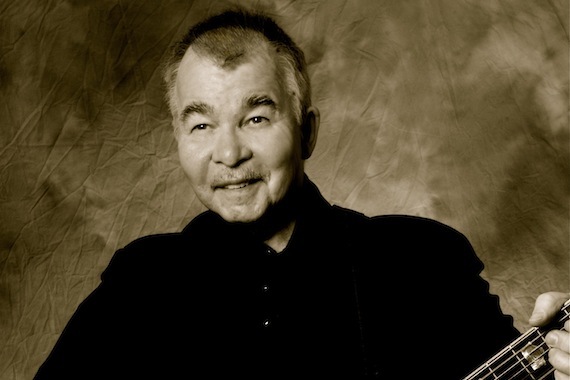 A 2003 inductee into the Nashville Songwriters Hall of Fame, Prine will turn 70 on Oct. 10. The concept of For Better, Or Worse is similar to Prine’s 1999 album, In Spite of Ourselves. That album will be released on vinyl for the first time on July 29.